Sours have been on my radar lately. Whiskey, tequila, and now this delish apricot sour using rum as its base. I love sours because they’re tart and because I love the way the egg white renders them foamy and smooth. This sophisticated cocktail shakes rum with lemon juice and apricot liqueur. I came across the recipe for this Apricot Lady Sour while paging through Cocktails Made Easy by Simon Difford. The ingredients looked like they would shake up nicely and they did. 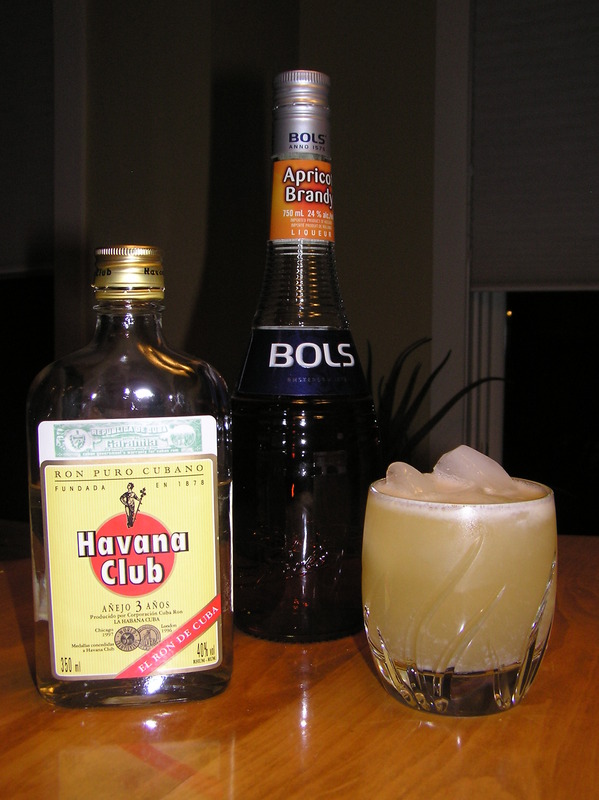 Difford uses Bacardi Superior rum, but since my husband just came back from Cuba I subbed in Havana Club rum. I also used North American-style simple syrup (1:1 ratio sugar to water) instead of the sweeter U.K. style. This drink’s subtle apricot flavour is complemented by the rum, and the lemon’s pucker is lessened by the simple syrup. It’s nicely balanced, and light, but substantial enough — thanks to the egg white and apricot brandy — to drink on a December night close to Christmas. Enjoy. Grab some rum, apricot liqueur and lemon juice and get ready to pucker those lips. 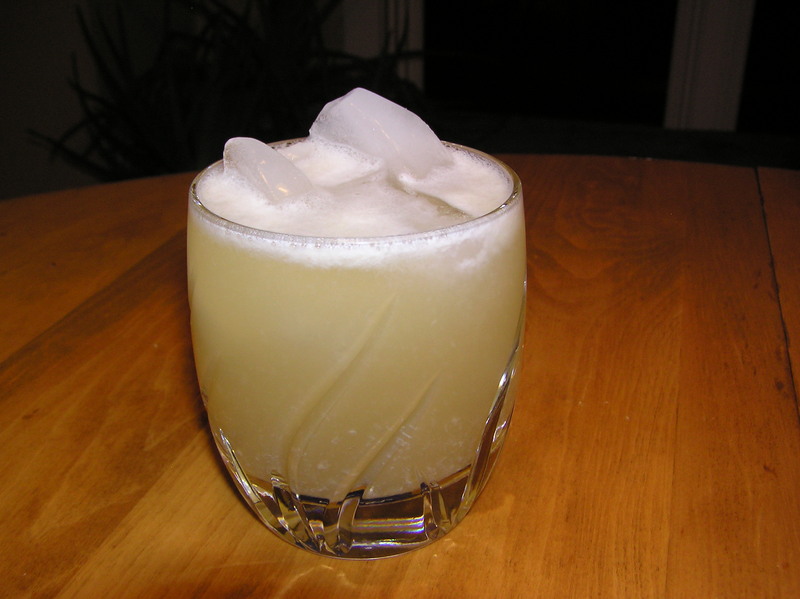 This entry was posted in Cocktails and tagged Apricot Lady Sour, cocktail, cocktails and drinks, Drink of the Week, rum. Bookmark the permalink.